Is there a better alternative to Reflect Studio? 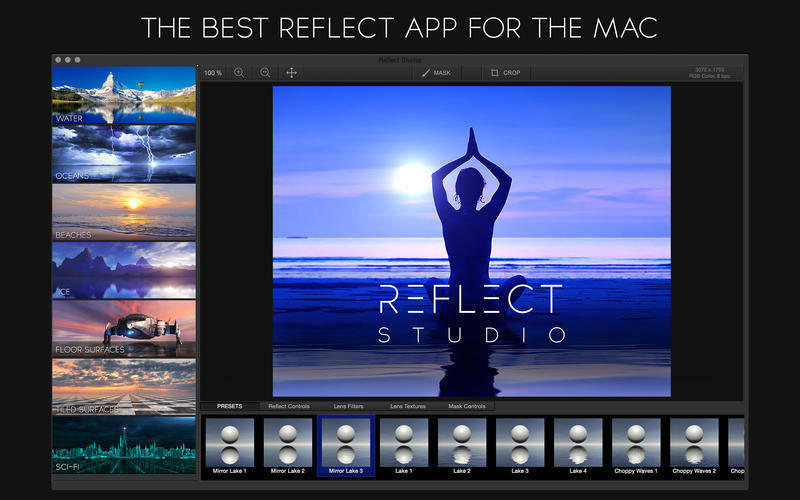 Is Reflect Studio really the best app in Image Editing category? Will Reflect Studio work good on macOS 10.13.4? 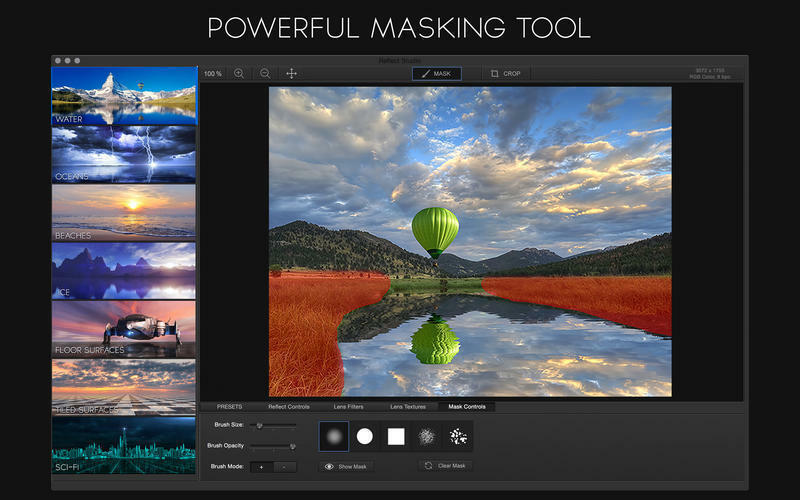 Reflect Studio, a brand new Photo Editor from the creators of LensFlare Studio, lets you create beautiful photos with stunning reflective surfaces--an effect that should be in every photographer's and designer's toolbox. 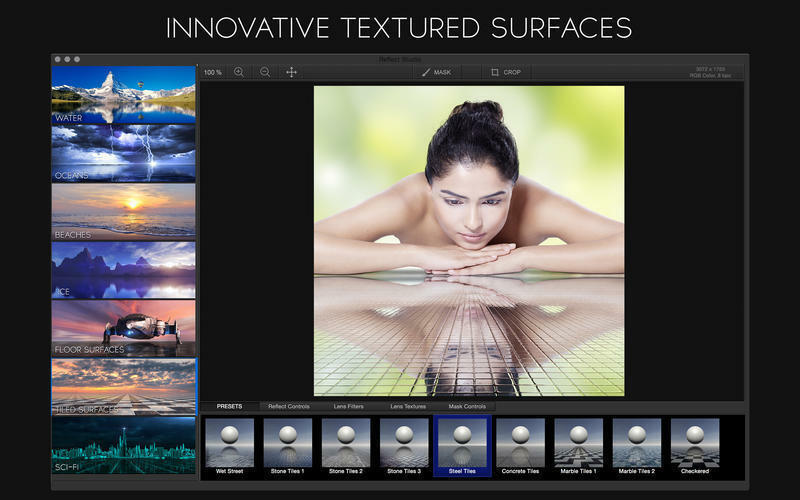 Reflect Studio includes reflective surfaces beyond just water such as oceans, ice, floors, beaches, and more. 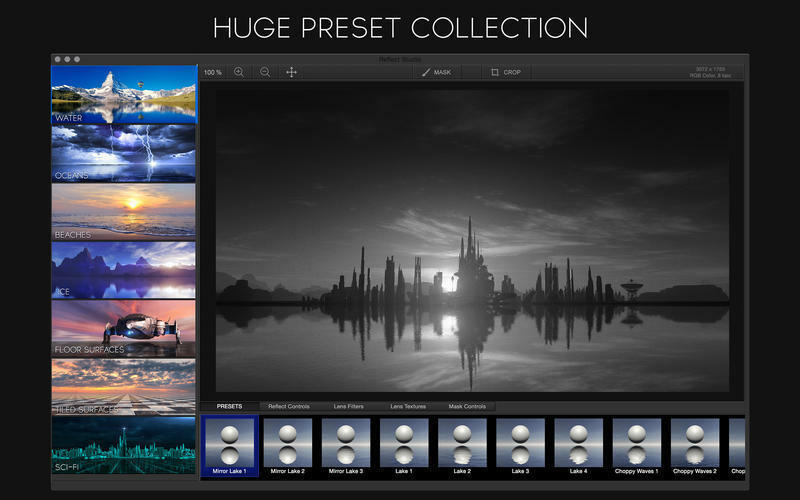 30+ reflection presets: water, ice, tiled floors, scifi, and more. Adjust wave displacement, blur, wave shadow intensity, etc. Reflect Studio needs a review. Be the first to review this app and get the discussion started! Reflect Studio needs a rating. Be the first to rate this app and get the discussion started! Sharing - Share your creations with the world! 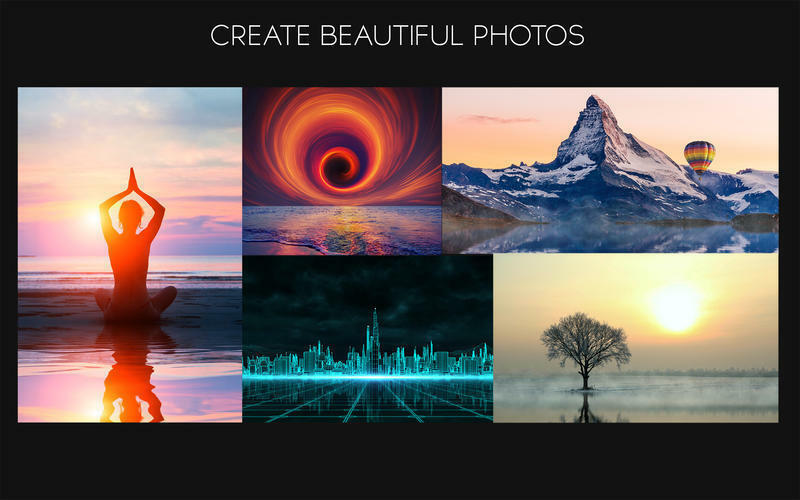 Export your favorite images to PNG, TIFF, and JPG, and share to popular social networks like Facebook and Twitter.